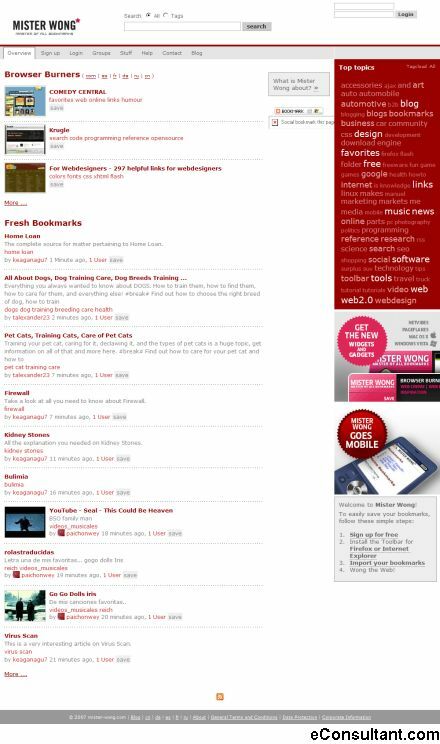 Description : Mister Wong is a social bookmarking site with portals in 6 languages. It offers you an interesting way to save all of your favorite websites in a personal account, which you have access to online no matter where you are, whether it’s at work, home, on your laptop, at university, internet cafés, and even on your cell phone. With the use of tags, you can organize your favorite bookmarks comfortably and individually. You decide whether you you want to make your bookmarks private, so that only you can see them, or public for all to see.